The Hepatitis B Foundation in Philadelphia is giving a presentation today for our students. 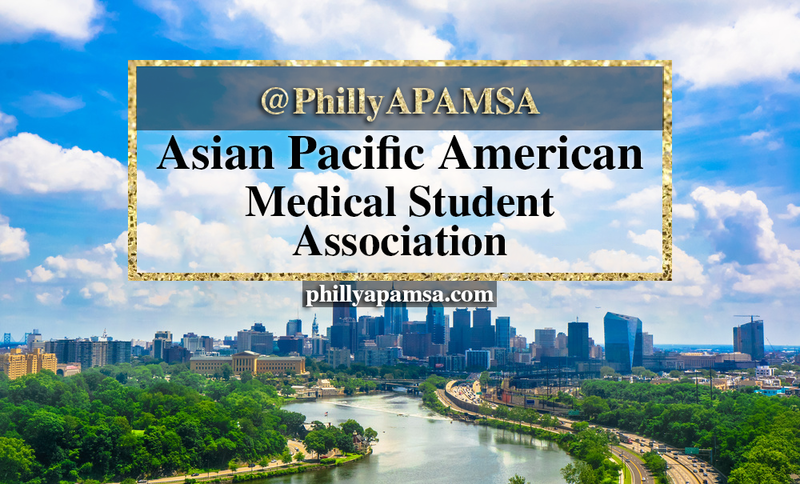 APAMSA, ACOFP, Internal Medicine Club, Infectious Disease Club, and Public Health Club are co-sponsoring this event. But first, what is Hepatitis B? Why do I always hear about Hep B, & why is it important? Hep B is an infectious disease caused by HBV (the hepatitis B virus). It affects the liver. It can cause both short (acute) and long-term (chronic) infections. You can ask your doctor to see if you ever got the vaccine. Many times, people think they got the Hep B vaccine but actually got a different one for another Hepatitis. Then, you can ask your doctor to test your immunity. Your doctor will take your blood (called a "titer") and send it to the lab to test. You just protected yourself from a disease that causes liver damage. What to do if you are not immune? Sometimes, even though we got the vaccine, the immunity wears off after a few years and we need what's called a "booster shot" to boost it. Some people get the vaccine and get lifelong immunity, some people don't--both are normal. If you find out that you are not immune (even if you used to be)--get a booster shot ASAP! 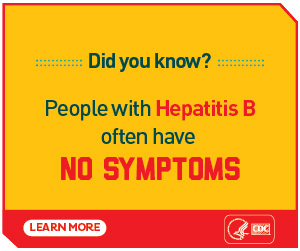 Ask your doctor about helping you become Hep B immune. It's like music to your doctor's ears! You can choose to re-do the "Hep B series," which are 3 shots spaced across different months. You get your blood drawn to test the immunity a month after the last shot. You can choose to get the "Booster shot" first and then come back the next month to get your blood drawn to test your immunity. Sometimes, the Booster shot is enough when you have had the vaccine before. Sometimes, it's not, and that's okay. If you find out you are still not immune after the Booster shot, then your doctor will put you on what's called a "Fast Track" and give you the 2nd shot ASAP. The 3rd shot will be a few months after and you will get your blood drawn again to confirm that you are now immune! 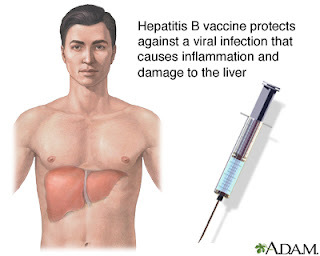 It only takes 3 shots to prevent Hepatitis B and protect yourself and your loved ones! You need the Hep B vaccine ASAP! This is important for everyone, especially if you work with other people or the public. You need to protect yourself in order to protect others. 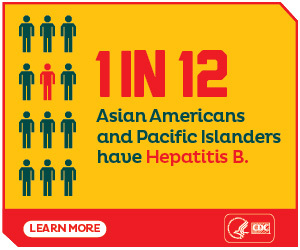 Hep B is often passed on during childbirth, and the reason why it's so high in the Asian community is because people usually don't get vaccinated (or lost their immunity) and then accidentally pass on Hep B to their children. Ask your doctor about giving you the Hep B series, which are 3 shots spaced either 0, 1, and 6 months apart or 0, 1, and 2 months apart. Timing is very important for the Hep B vaccine to get immunity. You can ask your doctor what they recommend for you and decide which option you want. This information is for general awareness. Ask your doctor to confirm your situation, and know that you have options in protecting yourself from preventable diseases! Hep B is known as a "silent killer" because people could have liver damage but not know it until it's too late. The Hepatitis B Foundation is giving a talk today to our students about Hep B. More awareness and education are always important! Dr. Chari Cohen and Pavitri Diwivedi of the Hep B Foundation will present today in Zedeck auditorium in Evans Hall at PCOM, 12-1 PM. Pavitri is also a current PCOM student in Biomedical Sciences and the Public Health Program Manager for the Hepatitis B Foundation. Dr. Chari Cohen is the Director of Public Health for the Hepatitis B Foundation. We will be sure to update our website and provide you with details of what we learned at the event! Am so happy, i never believe i will be this happy again in life, I was working as an air-hoster ( cabby crew ) for 5 years but last year i loose my job because of this deadly disease called Hepatitis B (HbsAg), I never felt sick or have any symptom, till all workers were ask to bring their doctor report, that was how i got tested and i found out that am HbsAg positive that make me loose my job, because it was consider as an STD and is incurable disease, i was so depress was thinking of committing suicide, till i explain to a friend of mine, who always said to me a problem share is a problem solved, that was how she directed me to this clinic called HEALTH MED LAB CLINIC, that was how i contacted them and i get medication from them and i got cured for real, I just went back to my work and they also carry out the test to be real sure and i was negative. Please contact this clinic if you are hepatitis B positive their email is ( healthmedlab@gmail.com ) they are life saver. Hello everyone, I was infected with the herpes virus and I got cured from the herpes virus few months ago after i contacted Dr Azuka. I saw a post on the internet after i have seek healing for several years from different doctors in California. I sent the Doctor a request for help, just a few email i followed his instruction and he sent me the medication. Now i am negative and i referred him to all my friend who had this same sickness and they have gotten their cure too. You can contact him via his email: Dr.azukasolutionhome@gmail.com or Phone call or whatsAPP: +2348132777335. While i was on his medication i understood that he can also cure HERPES, HIV/AIDS, CANCER, Male/female menopause, Miscarriage, Menstruation problems, PREGNANCY PROBLEM, EPILEPSY, GONORRHEA, LASSA FEVER, OBESITY, KIDNEY FAILURE, HYPERTENSION, FIBROID TUMOR, BRAIN FOG, EPSTEIN-BARR VIRUS and many more. I'm Success Puga from Los Angeles.Dr Ero herbal cure is 100% Guarantee percent sure to cure your HEPATITIS B,He is only person that i can boldly say he can cure any types of Disease.i was having HEPATITIS B for more than 5 year when i met Dr Ero online how on how he has cured so many people and how greatly he has helped many individuals online,so i contacted him and explained my situation to him and behold i was cure with his herbal medicine and now we are living happily, so to anyone issue on herpes challenges i advised that you contact dreroherbaltreatment@gmail.com he can also cure any disease such as HIV/AIDS HEPATITIS B,DIABETICS,CANCER,HERPES HE is the great herbalist man called Dr.Ero i must say a big thanks for curing my disease, i owe you in return. Thanks and be blessed sir.his Mobil number +2349077338035. If you want treatment for Chronic obstructive pulmonary disease (COPD) kindly email totalcureherbalfoundation@ gmail.com because they helped my stepmother,she was at the point she almost lost her life because she was at the end stage,our doctor said the copd cannot be cured yet she still believed that something must be done,i decided to come on-line if there awill be better solution so i met this health clinic on-line which i decided to give a try,i can assure you that my stepmother is fully free from copd disease with the herbal remedies they sent to me,please if there is anybody who is diagnosed do not hesitate to email them or if there is anybody that needs help kindly forward this testimony. I am 26 years old. Today I am so happy after getting my medical result which says that I am negative in HBsAg test. We are newly married and I am happy that my husband will not get infected. I am so happy I know that I will now be employed fully. I don't have any symptoms anymore , I can drink alcohol and I can smoke.Am back to normal life,please purchase your herbal remedies for HBsAg from Dr George website www .goodhealthherbshome .com. For the past 20 years I had been taking allergy shots and they had helped to keep my lungs clear, but after moving across country and being tested by two separate allergists who said I didn't have allergies, but chronic obstructive pulmonary disease (COPD) my allergy shots stopped. One and a half years ago I started sweating profusely, worse than during menopause. Water literally dripped off my face. Gradually it started to disappear. The less the sweating became, the more I became breathless until I was gasping for air walking across a room. My lungs started to fill up with mucus which eventually turned into pneumonia. I lost touch with reality.I started on Health Herbal Clinic COPD Herbal formula treatment in May 2017, i read alot of positive reviews on their success rate treating COPD disease through their Herbal formula and i immediately started on the treatment. Just 7 weeks into the Herbal formula treatment I had great improvements with MY breething ,I am unbelievably back on my feet again, this is a breakthrough for all COPD Patients, visit Health Herbal Clinic official website www. healthherbalclinic. net or email info@ healthherbalclinic. net. MY HERPES SIMPLEX CURE BY HERBAL MEDICINE..